In this section I am offering Teachings, free of charge, on a monthly basis. 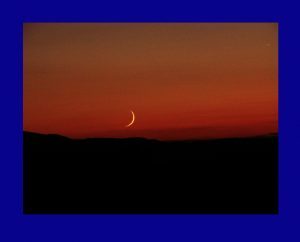 On or about the New Moon of each month you can check back here for newly added Teachings. Each will explore a topic of relevance from a Shamanic perspective. I hope you find value and assistance from these offerings. Please do send me feedback. Just go to Contact and send me an email. An article describing the physiological effects of Shamanic Drumming, and a downloadable mp3 file or listen online, of the 5-sided Drum journey, replete with extensive drumming. Effective commune with the high self enables the manifestation of our heart’s desire. Includes an article and a 10 minute downloadable mp3 file, or you may listen to it online. An article revealing the sacred geometry/mathmatics of the ceremonial tree as a map of consciousness and a calendar charting th cycles of time. An article exploring the fundamental differenece betweent he meataphysical perception of life as a place of lessons with the Shamanic paradigm’s view of Life as Experience, and the freedom that comes about thereby. By following this procedure you will, over the course of 52 days, have brought yourself into a state of clarity and loving embrace of Self. Enjoy! A 10 minute instruction in establishing an effective structure for your prayers. Listen online or download the mp3 audio file. The myths and creation stories represent, in dramatic form, the dynamic interplay of the sacred dance between the planets, stars, Sun and Moon and Earth. Tihis photo of the Crescent Moon, Venus and Mars, over Cathedral Rock in Sedona, portrays a story of unique significance. Greeting the Ancestors with a warm welcome. Releasing Earth-Bound Spirits with a Protection Symbol.